THE BOTTOM, Saba — A Small Federal Express Cessna Caravan commercial delivery plane crash landed off the coast of Saba on Wedneday afternoon according to published reports. The Small plane operated by FedEx was enroute from San Juan, Puerto Rico to St.Kitts when the pilot indicated to the air traffic controllers at the Robert L. Bradshaw International Airport on St.Kitts that he was experiencing engine problems. The FedEx pilot was forced to attempt to divert to neighboring islands of either St. Maarten or Saba, but was apparently unable to make it to either. The plane crash landed in the waters between Saba and St. Kitts. 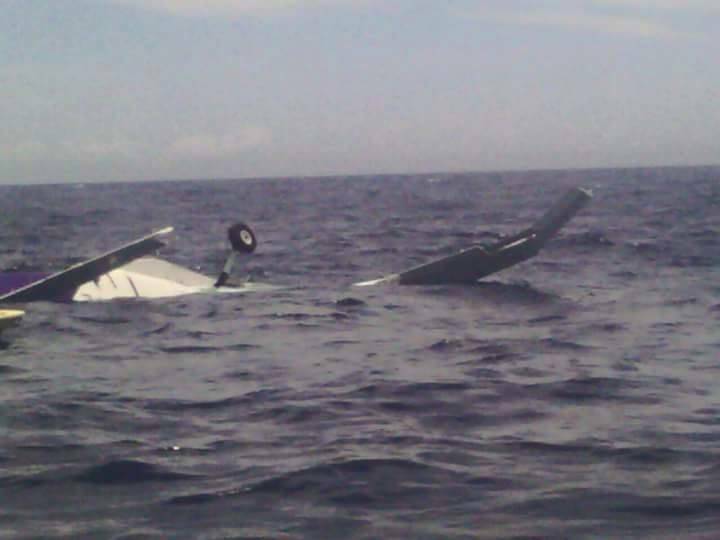 The St. Maarten coast guard reacted quickly to the incident and with the assistance of a nearby private yacht were able to reach the wreckage in time to save the pilot of the small aircraft. In October 2014 one man died after a small FedEx aircraft crashed into the sea shortly after takeoff from Princess Juliana International Airport in Philipsburg.